Apple Music is over 1 year-old until now! Recently, Apple made a considerable "maintenance" on Apple Music on iOS 10, and added many features that enhance the user experience. One of the most exciting features is that users can view the lyrics while listening to music. Now, let's talk about some other 10 important things you need to know for better use of Apple Music. Q1. Is it Worthy of Paying $9.99 on Apple Music? Nowadays, most of music apps are paying more attention to copyrights, and different artists sell their music copyright to different music streaming service platforms. Paying for your favorite songs, albums and artists is sensible. Q2. Apple Music Tracks are DRM Lock? All Apple Music tracks and playlists are inserted with DRM (digital rights management) to limit users to play songs from the Apple Music catalog on other devices like MP3 player, PS4, Walkman. Now Apple Music has come to Android devices to enlarge its user group, although the user experiences are not better than Apple devices. Q3. 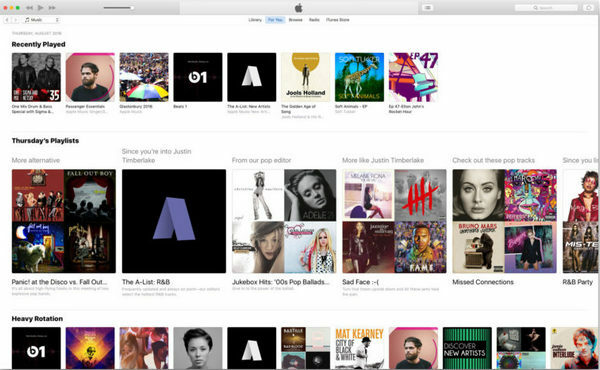 What Makes Apple Music Different from Other Music Subscription Services? “Connect” truly makes Apple Music different from others. It makes the singers, whether signed or not, can directly contact with their fans. Singers and bands can issue songs, samples, behind-the-scenes videos, photos, and lyrics with iPhone. Users can comment on these, and share these on social networking sites, and musicians can also directly communicate with users. "Beats 1" music radio stations have human editors, including well-known DJ from New York, Los Angeles and London. This music station offers exclusive content such as interviews, music news. Users can listen to the radio without subscription, but paying for it can unlock some features, such as unlimited song skipping. Q4. Can I Enjoy Apple Music Songs after I Decide to Cancel the Subscription? In the strict sense, you can't continue to enjoy Apple Music after you canceling the subscription. You pay for it, and you can enjoy it, but it does not mean that you own it. So after you canceling the subscription, you are not accessible to play the music you added or downloaded from Apple Music. Q5. How to Discover New Music with Apple Music? Apple Music, as the most featured rich music streaming service, there are tens of millions of tracks in Apple Music library waiting for you to discover.>How to Discover New Music with Apple Music? Q6. 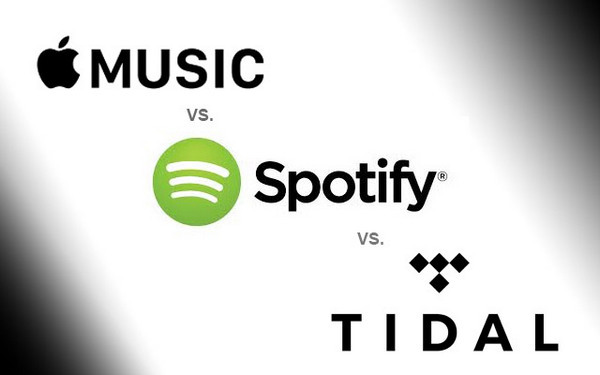 There Are Some Famous Music Streaming Services like Apple Music, Spotify, Tidal etc. Which One Is Better in Your Mind? Different people have different habits and tastes on listening music. And you may find your requirements, like your favorite artists, tracks or playlists from different music streaming services. Q7. Is there any way to transfer tracks or playlists from Spotify to Apple Music? Because of the DRM protection, there is no easy way to directly transfer tracks or playlists form Spotify to Apple Music. In this case, a third party program is needed to help you rip the DRM from Spotify music, so that you can convert Spotify music to AAC, WAV, FLAC or MP3 formats and transfer Spotify music without any limitation. Here NoteBurner Apple Music Converter is a good choice. Q8. Can I Remove the DRM protection from Apple Music Tracks and Convert them to Plain Formats? 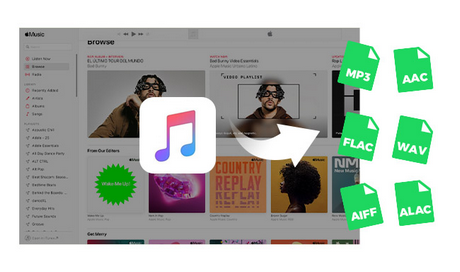 With the help of third party program NoteBurner Apple Music Converter, you can convert Apple Music tracks to plain formats like MP3, AAC, FLAC, WAV etc. Q9. Can I Burn Apple Music to CD? The answer is absolutely YES when DRM protection is removed. And here is the specific tutorial about how to burn Apple Music to CD. Q10. Can I Listen to Apple Music on Other Portable Devices, like iPod, MP3 Player, PS4 etc? As for iPod, only iPod touch is compatible with Apple Music, but not iPod nano and shuffle. PS4 is one of the popular game consoles which can also play music, you may be interested in listening to Apple Music songs on PS4. PS: If you are the users of Apple Music or you are ready to subscribe it, we highly recommend NoteBurner Apple Music Converter for better use of Apple Music. How to Play Apple Music Songs on Huawei P30/P30 Pro?